The reference, of course, is from the classic Greek epic The Odyssey. 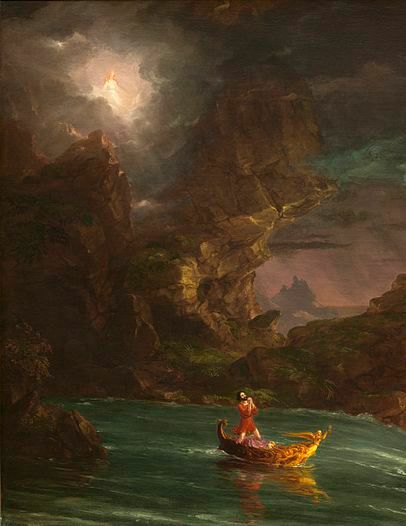 At one point in his journey home, the hero Ulysses is warned about the irresistible song of the sirens, which entices men to chase after it to their destruction. 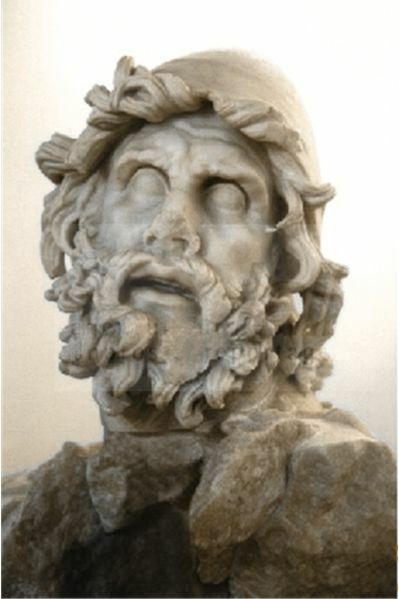 Because he wants to hear the song, Odysseus has his crew tie him to the mast so that he can hear the song without pursuing its seductive beauty. The songwriter Josh Garrels makes a similar reference in a song called Ulysses, in which he asks to be tied to the mast of the ship on which he is sailing. But look at those first two lines from Switchfoot’s song: I tie myself up and give up control. What kind of freedom is this? I had a professor in college who used to point out in his philosophy classes that anytime you are freed from something, you become enslaved to something else. In other words, you always freed into a new place of slavery. Any realistic talk of freedom must include this nuance because freedom cannot exist in a vacuum. The song gets this in the reference to giving up the semblance of control. To deny our “creatureliness,” as the late anthropologist Ernest Becker might say, is to live in an illusion. Becker is saying that our meaning and motives are contingent on forces outside of us; we simply must give ourselves away to something or somebody. If we don’t, we will despair, go insane, and generally cease to live in any meaningful sense. It is our nature to latch onto something bigger and better than the self because we are weak and live in the constant shadow of death. This greater object can be a lot of different things – an abstract ideal of virtue or heroism, a lover, a god, or even something as debased as a number in a bank account. The pastor Tim Keller gives a practical example to explain how freedom must coexist with slavery. If you want the freedom to play the piano, he says, you must put in long hours of practice, forfeiting the freedom to do many other things with those hours. But it is only after you’ve enslaved yourself to the practice of the piano that you can sit down and play stunning pieces of music. When I was in college, I saw this firsthand as I roomed with a number of music majors. Many days they would leave for the practice rooms early in the morning and not return until midnight. Sometimes they looked weary and miserable from the grind, other times elated because of a breakthrough in mastering a new technique or portion of a piece. Their spirit changed according to how the work seemed to be going in the moment, but at the recital at the end of the semester I saw the fruit of their labor. It was always wondrous to behold – both the magnificence of the piece they played and the raw elation they displayed from performing it. As finite beings that can only exist at a single place and time, any meaningful sense of freedom must therefore mean a sort of enslavement, because as the example of practicing music implies, saying yes to one thing means saying no to everything else. Now extrapolate that freedom-enslavement paradigm to the soul – the self, the seat of our core identity and deepest desires. What would it look like to free that? What would it take to free the part of us that has the longings of eternity written on it? Is there any one thing, any one person, to which we can subsume all of the lesser pursuits of freedom? The philosopher and theologian Soren Kierkegaard thought so. Becker summarizes Kierkegaard’s view thusly: “Once the person begins to look to his relationship to the Ultimate Power, to infinitude, and to refashion his links from those around him to that Ultimate Power, he opens up to himself the horizon of unlimited possibility, real freedom.” In other words, real freedom comes when one grounds his identity and purpose fundamentally in the almighty God. Both of the aforementioned songs have two additional components to their understanding of liberty that shows us why nothing short of this infinite God will do. The first is an implicit understanding that our impulses and desires are fundamentally flawed. Ulysses understood that even though he had been warned that pursuing the siren song would kill him, he still had to lash himself to the mast. He knew his own self-control would not be enough to stop him from throwing himself to his doom, and so he gave up control. He sacrificed his own volition, but he preserved his life. This is profoundly instructive for us today in a world where similarly destructive comforts and pleasures are ever before us, singing a siren song that sounds damn good. When one embraces his own self-centered passions under the guise of authentic self-expression or self-actualization, he will inevitably find himself thrashing after the siren song to an end of bitterness, despair, and (perhaps literally) death. Individual stories of these self-destructive pursuits abound – just read some history or great literature, or look at the lessons of your past. We’re bent out of shape, but how can we be set straight? What’s the solution to disordered desires? You can lash yourself to the mast, but that won’t help in the long run unless that mast is on a ship and unless the ship has a destination. Therefore, the final component to this theology of freedom we see in these songs is the idea of the present journey and the hope of home. Mine is the story headed home. Here we see the faith that our lives have a destination, an ideal home that this world only gives us a small foretaste of. These songs understand that the experience of lashing yourself to the mast is not the end goal of freedom, but a means of self preservation until you make it to your true home – the final resting place. But how can we reconcile that hope with the siren song in the here and now? How can you be free at your current home when so many of our impulses and desires are misguided? I believe Kierkegaard rightly found the resolution in Christianity, a faith that holds forth a paradoxical freedom by proclaiming both our liberty and our enslavement. One moment, Jesus Christ is saying “come unto me all you who are weary and I will give you rest.” And the next he says “if you would follow me, you must deny yourself and take up your cross.” The Apostle Paul says that “where the spirit of the Lord is there is liberty,” but then he says “you are not your own, because you were bought with a price,” and it is therefore incumbent upon you to live for God’s glory. And so the Christian, looking beyond the limited possibilities of this present life, submits to a temporal, liberating enslavement. He entrusts himself to Jesus Christ, the freest man to ever live who, in his freedom as God-incarnate, submitted himself to the will of his Father. In being united to Christ, the Christian has hope that one day we will experience true freedom from our selfish, damning impulses in a new home – the Father’s house. But for now we live in the tension of our depravity. In matters of the self and the soul, we only find freedom by denying our baser nature, fencing ourselves sin, cutting off hands and putting out eyes, tying ourselves to the mast and giving up the semblance of control. The sires sing, but we can let them pass, because only You can free my soul.